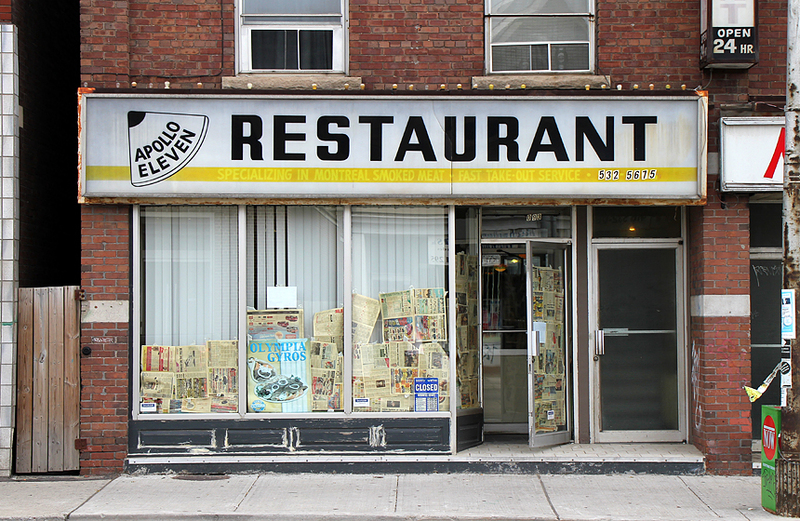 Apollo Eleven restaurant at Bathurst & Dupont is currently being renovated. I hope they don't change the name because whenever I see it I'm immediately whisked back to 1969. Did you grow up in this area at that time? Household Sciences Building @ Bloor and Avenue Rd. George M. Miller - 1912. "Come From Away". Good description of all mail. More "Come By Chance" than anything else? IF only I had of questioned then, for the answers needed now . . .
^ Ha Ha! Good one. Toronto music mural @ Yonge & McGill/Granby by Adrian Hayles. Underground haircuts. Barbershop inside The Black Market vintage clothing store @ Queen & John. ... and one of two actual Banksy's in the city. This one is on Church, north of the Esplanade. Queens Quay Terminal Building on Harbourfront. Church & Isabella. Now, THAT'S a hood ornament!